Discussion in 'Iowa Whitetail Conference' started by Obsessed, Sep 13, 2018. 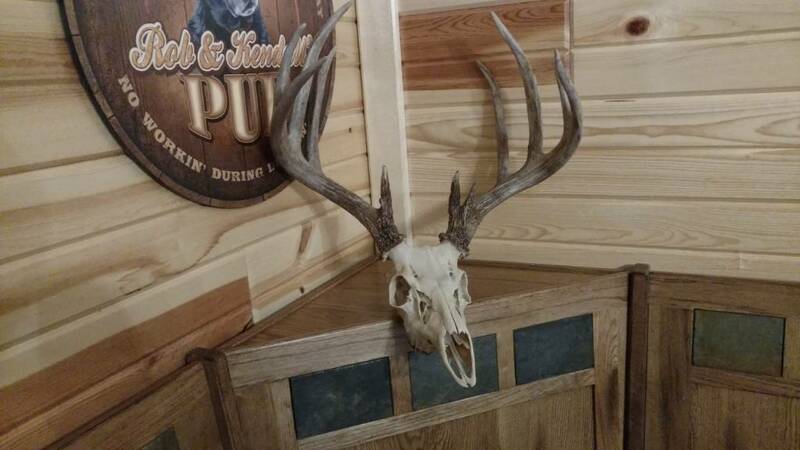 I've got one recent European whitetail buck mount (bug cleaned) that stinks horribly bad. The smell isn't the skull either. The odor is emanating from the first 5 or so inches of the antler bases. I shot him in late October, so I was thinking maybe some left over velvet remnants??? I've used Lysol and even Thieves cleaner to try to kill it, and those didn't touch it. I fired up the power washer yesterday and thoroughly blasted the antlers with hot water. That didn't seem to work either, but I'll see if the smell dissipates once it's fully dried out again. I don't have an ozone machine, but am curious if ozone would be strong enough to completely pull the stink out of the porous bone, that it seems to be soaked deep within, and eradicate it. I was thinking about filling a storage container up with hot water and a strong mixture of boric acid. Then submerging the antlers in the solution and leaving them to soak for a week or so. Thoughts? Would it dissolve the antlers, or make them soft? Couple ideas to try.... Solon grade peroxide (volume 40)- soak for a few days. Thanks! Soak / boil the entire skull & antlers, or just the antlers? Either one of these suggestions better than the other? Tape off antlers very well with electrical tape for the peroxide soak. If you do not, they will bleach out. Less important on the laundry soap boil, but I do my best to keep most of the antler out of the boil. It's the bottom 5" or so of the antler bases that seem to be emitting the odor, not the skull. The skull was professionally treated after the beetle treatment, so I don't really want to discolor it with soaking / boiling if possible. So, in this particular case, would you suggest I turn the skull upside down and do a light boil of the antlers ONLY in a laundry detergent solution? I don't want to bleach the antlers out if possible. Worst case scenario is that I can't eliminate the stink and this Euro just stays in the garage. This one I did this year. Used no whitening agent. Zero. Boiled with laundry soap. It smells like fabreeze. Question: Will unscented laundry detergent do the trick, or does it need to be scented? I mean I paid a professional to do my euro mount. I didn't do it myself. He bleached and coated the skull I believe. Not sure exactly what all he does to them after the beetles are done eating, but It's super clean and white. Thanks for the info. I'll stay away from peroxide and will try to find a large enough pot to fit my Euro into for the detergent boil. Probably, although I cant recall if ive ever seen that. Just don't buy el cheapo detergent that is 99% water. Never had that problem. Maybe try your scent killer spray? I don't have an answer. Weird that the antlers themselves would be smelling. I'm pretty confident that if you boil the antlers in anything you are going to discolor them. I'd talk to the "professional" who did it. Here's my plan: Cut a 55 gallon steel barrel in half, to use as my 'pot'. Place it over a fire pit, fill it with water and high grade laundry detergent. Submerge my skull upside down into the solution, in a way to only submerge the antlers, not the skull. Light the fire and bring water to a boil. Extinguish the fire and let simmer for a few hours. Fingers crossed, antlers will come out smelling good or odor free, and not bleached out. I’m thinking by do this you will have white antlers when done?!?! I would test this process first on a shed or similar that has color on it. Do not boil the antlers . They will turn white . I would put some sort of clear sealant on the bases and are if that helps. I would not boil the antlers. Yeah you can't boil the antlers without discoloration. You can add the color back in but that's way past my skill level. I misunderstood OP. Alright, so I'll hold off on my boiling plan for now. I've reached out to Matt Nelsen in Des Moines, as he's the one who does my Euros. I know he no longer does business directly for individual customers, only through taxidermists and such and his website is no longer active. So, I contacted him through Facebook Messenger. I'll let you all know what he suggests once I receive a response. If it's just the odor from the bug tank, I've had good luck submerging the antlers in water with a little dawn dish soap and 10% ammonia from ace hardware. I just heat the water up somewhere between 130-150 degrees for about 2 to 3 hrs. Works well with very little color loss and no damage to antlers.